Each All sheets and imprint signed, dated and numbered. Copy 22/35. In original cardboard folder. All sheets wavy at lower margins. 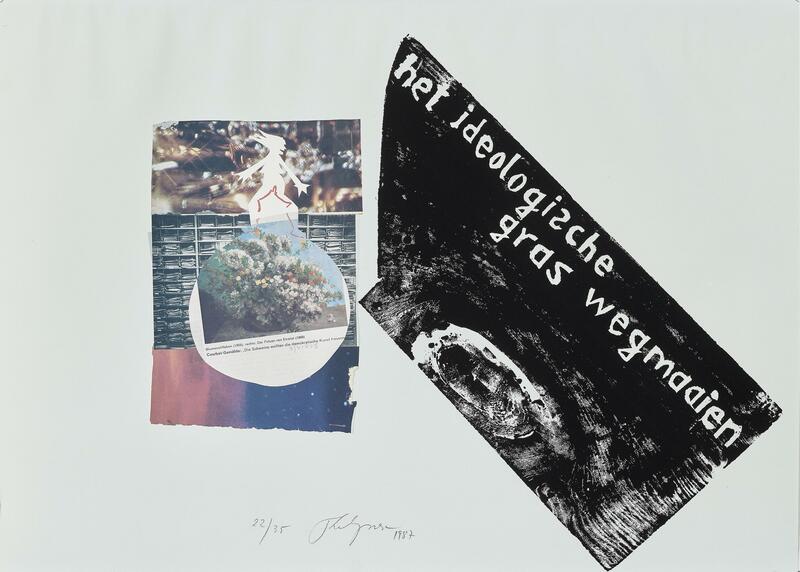 Including: Gouache 1989, het ideological grass wegmaaien painted on the back of the imprint sheet, 70 x 50 cm, signed and dated.